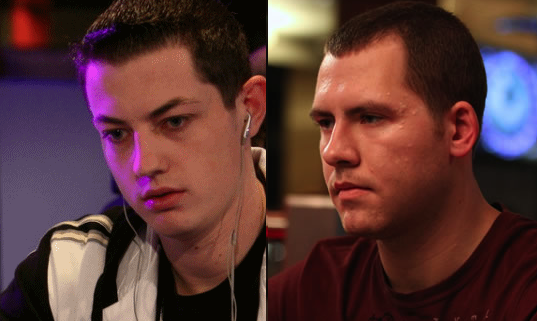 Tags: daniel cates, durrrr challenge, full tilt poker, high stakes, jungleman12, tom dwan. 20 comments for "Durrrr Challenge Returns in August"
Those guys are still alive? I thought they had already succumbed to old age. But i don't buy it, that they continue the challenge, untill they played the 4000 hands. whats about the challenge between durrr and patrick antonius???? anybody got some news on that?who was in front? Against Antonius Dwan is up $2.000.000 with 10.000 hands remaining. But i doubt that this thing will continue, as it is on hold for three years now, and there is only a small chance, that Antonius can make up that huge loss. But there is an amount that the winner will receive right?so PA have to pay up durrrr if they dont gonna continue or am I getting something wrong? Those challenges are only good for PR. The real side-betting games are done behund the scenes. Some of them are just crazy. Besides, I don't see them finishing this one and durrr paying the 1.5m - He can just quit after 40K hands with some excuse. Of cause it had a lot to do with PR. But times have changed. Today people have much more problems in their own lifes to care about a match between two degens. id like to see a rematch between durr and antonius watched some of the last matches but as i remember they didnt finish? Daniel Negreanu having been asked about his thoughts on Dwan's game, Daniel stated that he doesn't know if "Tom is one of the best in the world", moreover, he doesn't know "if he ever was". He then went on to say that he believes many top players "lick their lips when they think about playing Dwan heads-up." It is starting to look like the fudes on WWE. Doesn't matter who is against who, as long as the crowd is interested. Anything that makes more people open the TV (and later play online) is good for these guys. daniel negreanu's video rant was pretty interesting. he was telking about durrrrr,phil galfond and some other who were seen as the "elite" some years ago. I think the ultimate challenge of this kind would be against Viktor, HU he is the king. So doers Cates get the winnings from all the hands played and then above this there's an overall wager for 1.5 million to the individual who wins the most hands? Guess I'm not clear on the bet! Because it appears Cates is only 250,000 away from the 1.5 million. hmmmm,this could be interesting,if i remember when this comes around i will definately watch some of this match. well as much as i can. it will definetly interesting to watch, but i think that another challenge with less hands but different other opponents would be the bomb. imagine negreanu matching up against hansen,blom versus ike haxton or Durrrr vs another PS pro. Negreanu taking on one of the best online pros on four tables at the same time? This is not going to happen. He is to smart to get himself in such a situation. yeah they would have to adjust things. what i was trying to say was,that pokerstars and full tilt should corporate more with such challenges. this is besides freerolls and bonus's th best possibilty to get more people back to their plattform(full tilt). Durr is so lucky heh, I wonder when he will lost bankroll :> anyway mayby there will be some stream from game ? or something.